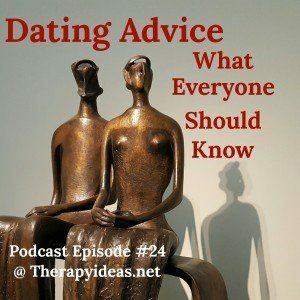 This episode will focus on triangles that are often a source of manipulation in relationships. The reason swinging or being polyamorous can evolve into problems is because the bond of the original couple gets threatened by the new, sparkly person who has entered the relationship on a newly intimate level. I noticed this dynamic when my kids had play dates, if we had 3 kids over triangles created problems. In the 70’s I studied a form of therapy called Transactional Analysis; from that I developed a handout I’ve used 4/5 times a week in the decades since. The handout is based on The Karpman Drama Triangle & I tracked down the original source before I added it to my website. It is from The Transactional Bulletin in 1968. You can go to therapyideas.net to see the triangle in detail. Right now, visualize a triangle & each corner has a label; victim, rescuer & persecutor. This is a game that families of alcoholics play, that politicians play when they scapegoat the opposite party, that people with high levels of anxiety play when they create codependent relationships, it’s a game that is played when someone has an affair, in the internal politics of the workplace, & it occurs in the high school drama of romantic relationships. It’s easy to imagine a teenage girl/boy demanding to be loved no matter what which would play out in the victim position. She/he says agree with me then you rescue me & I know you love me! But if you dare to disagree with me then you are the persecutor & I will dump you & you will be so lonely. The idea is to make you sweat, so you end up going along with them because who wants to be the bad guy? Any relationship that squashes disagreement is designed to be manipulative. It’s impossible to have an authentic relationship without disagreement. Making a relationship work over time is all about how you respectfully handle the differences. You did not partner up with a clone. This is worth repeating: Your success is not built on how alike you are, it’s all about how you handle things when you are wired differently on something important to you both. of emotions will be dumped out which makes clarity impossible. It’s relatively easy to fall into this triangle because drama is so comforting because things appear to be intense & therefore important. I don’t remember how old I was when I made the attempt to play this game with my Father. I distinctly remember his response to my threat to run away. He completely deflated my attempt to manipulate by offering to help me pack my bags. I’ve never forgotten how effective he was because I felt like a fish stranded on land gasping for air. In real life it’s pretty boring. When a new client comes in & says “Oh, your the best I know you’ll be my Angel. I’m so lucky to be here” over the top BS then I assume I’ll be in the trash heap within a month or two, because it’s inevitable if you understand how the game is played. Therapy is not about a rescue operation, it’s about the hard work of looking at yourself & taking responsibility for your part in your problems. 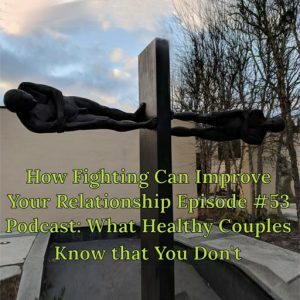 So you might be wondering what is the alternative to all of this in order to have a healthy relationship? Picture another triangle. I created this one because people need direction in what to do instead. It begins with Honesty: if your relationship is important to you stay real about who you are & what you want. Say what you mean & mean what you say because authenticity matters most with the people you love the most. If you really want to grow, find the courage to tell the truth to yourself. The second part of the healing triangle is Respect. Some people need more respect for others, particularly those who are too full of themselves. Others need to have more respect for themselves, particularly those who are too silent & they don’t tell their truths often enough. The third part of the triangle is what grown ups do; they negotiate & compromise to be a team & do the work of solving problems together. Not enough people value negotiating. It’s part of the foundation of making relationships work over time. The truth is this triangle takes real effort. It requires being uncomfortable to grow. This triangle is much harder to do. So my challenge to you today is to ask yourself which triangle you spend more time in. Seriously consider the Victim,Rescuer & Persecutor roles, ask yourself which are your favorites. Ask yourself how you can be more honest, respectful & willing to negotiate? This is Rhoda. My twitter handle is @rhodaoncouples. 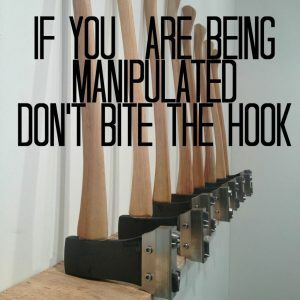 There are diagrams on the Manipulation Page. 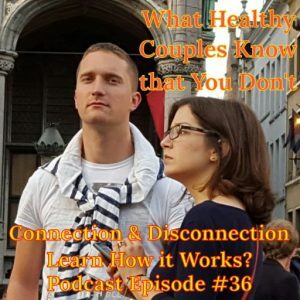 I love sharing what I’ve learned after more than 35 years of working with couples. 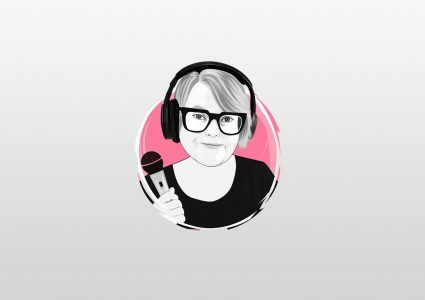 I’d be tickled pink if you would consider subscribing to my podcast on iTunes.